Design as opportunity in Healthcare ecosystem. In the healthcare environment and more specifically in the field of medical technologies or medtech, design services are becoming a key driver for innovation. 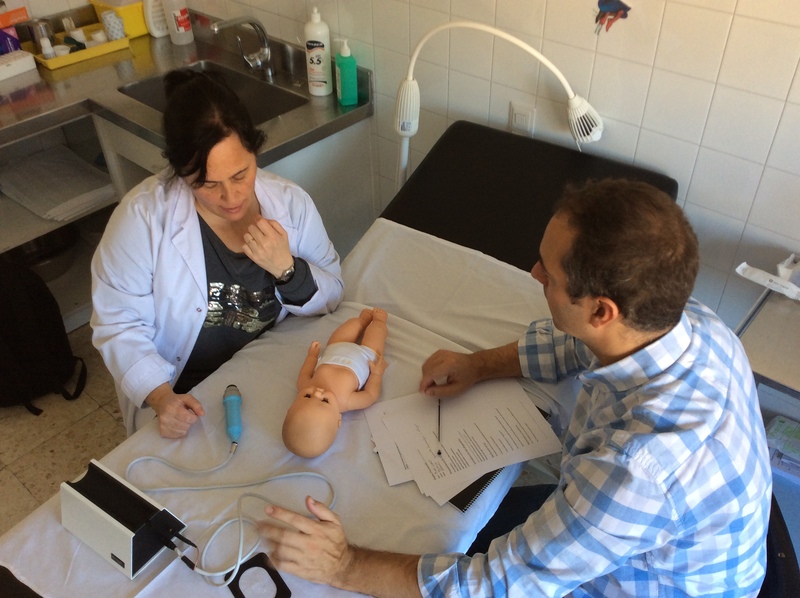 One example is the Barcelona startup New Born Solutions, which has developed a non-invasive device to detect childhood meningitis in three seconds. The company has developed a prototype that when placed on the infants heads determines through ultrasound the concentration of white blood cells, which serves as an indicator of the dangerous infection. The firm plans to bring the product to market in 2020. “Design has been an essential part in the development of our device,” says Javier Jiménez, Founder and CEO of New Born Solutions: In one hand all the technical development to achieve a reliable device when in contact with the child’s skin, and on the other hand to guarantee a friendly and comfortable user experience for the end users. To face this challenge NBS Barcelona has signed a collaboration agreement with Stimulo design Barcelona, specialising in design and healthcare. Design: Engineers and/or scientists work on the mechanisms, parts, prototypes and main techniques that will be used to demonstrate the technical feasibility of the product and, separately, the designers begin the iterative process of design proposals integrating user needs, technology and business model. “Prototyping plays a key role in this phase, as it allows us to make the solutions tangible and to test them with users, get feedback and continue working to improve the product,” the Stimulo team highlights. Development: At the same time as the Design phase, this process aims to resolve the product technically and prepare it for mass production. “We optimize the technical solutions so that they are cost-effective, ensuring the product complies with all requirements under applicable medical device regulations,” Stimulo explains. Implementation: Activities associated with mass production and launching the product, which include promotional materials, packaging, website, dissemination materials, etc. A project of this scope, requires “a multidisciplinary team with the talent necessary to cover all areas of development, both technical and clinical,” explains Ramon Martinez. “In Stimulo we take on each project as a challenge, an opportunity to apply design methodologies that make decision-making faster, especially in innovative projects that are still in their early stages, such as New Born Solutions,” says Ramon Martínez, CEO & Chief designer of Stimulo.